The first big trip in my since-destroyed travel van was a weekend getaway to Toronto with my friend Robin. This was also my first visit to Canada and my first couchsurfing experience. Somehow, we slept through my cell phone alarm, and when we woke up the next morning, I found that we had received a parking ticket. After 8:30, the street was meter parking, and the time was now 8:47. In that brief window, someone had ignored the two sleeping Americans in the back of the van and placed a citation on the window. 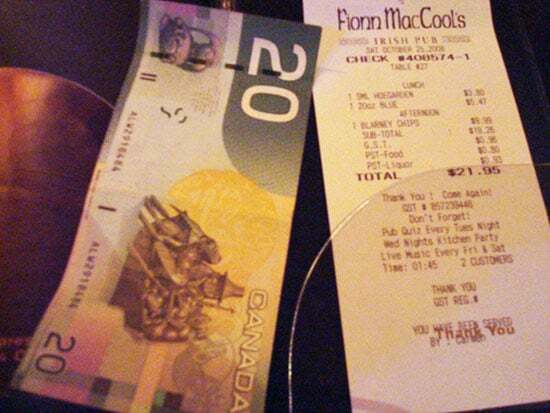 I thought Canadians were supposed to be nice! They sure didn’t waste any time writing up that ticket. Following that blow to our wallets, we headed over to the CN Tower, one of the city’s main tourist attractions. Unfortunately, it was the cloudiest day of the year, so we saw nothing from the top. We literally couldn’t even see the ground. It was pointless going up there, but we were eager tourists, so we paid anyway. Doh! Wandering through some of the neighborhoods was a lot more fun. 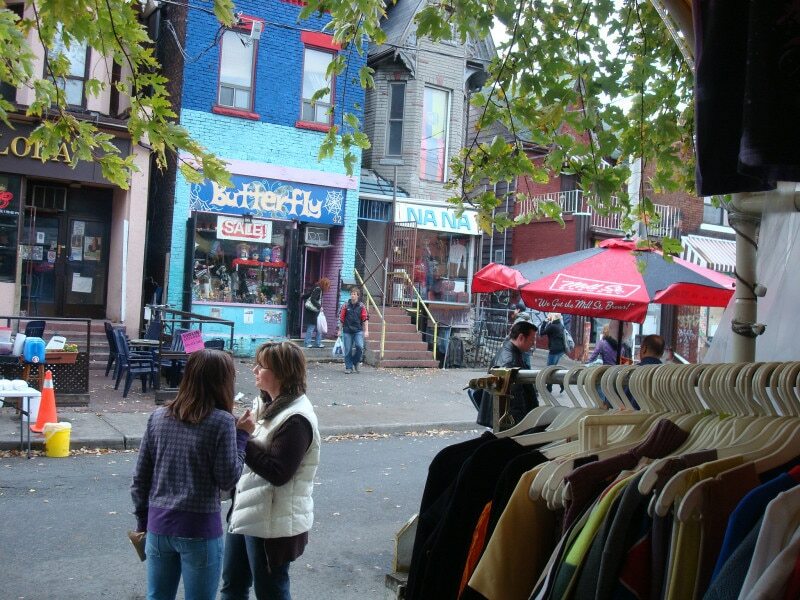 Our host directed us to areas like Kensington Market. This was a quick trip. We didn’t have the time or money to fully immerse ourselves into the place. We didn’t take a ton of pictures. In fact, compared to my current travel style, where I run around like a madman to maximize my time in every city, this particular trip was very laid-back. Our host took us out to a couple of awesome restaurants and bars, but we didn’t take any pics there and the evening is a bit of a haze. We’ll all have to use our imaginations on that one. I wish Chicago trains were as colorful as this. 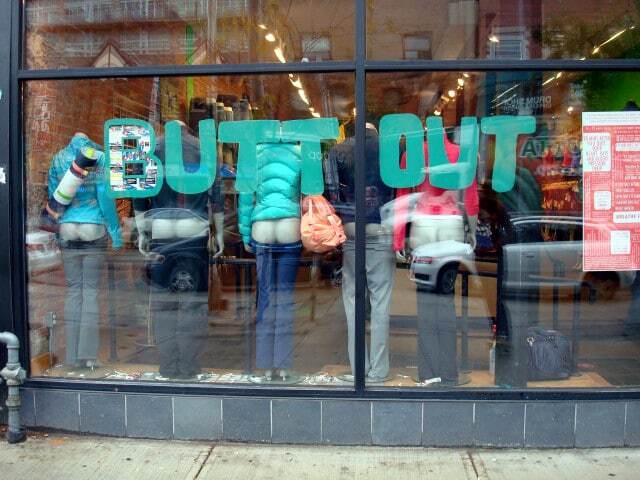 I don’t think American businesses would dare to moon their customers the way these mannequins at Urban Outfitters did. Thumbs up for Canadian humor. My favorite random discovery: Random blue sticks, which led to some artsy photos. The lingering feelings I had about Toronto were: 1) The city was very cool. 2) The people were not as cool as I expected. Oh, they were friendly and pleasant, and I liked them a lot, but they weren’t ‘cool’ in the hipster sense. They were a little behind the times in terms of trends and fashion. 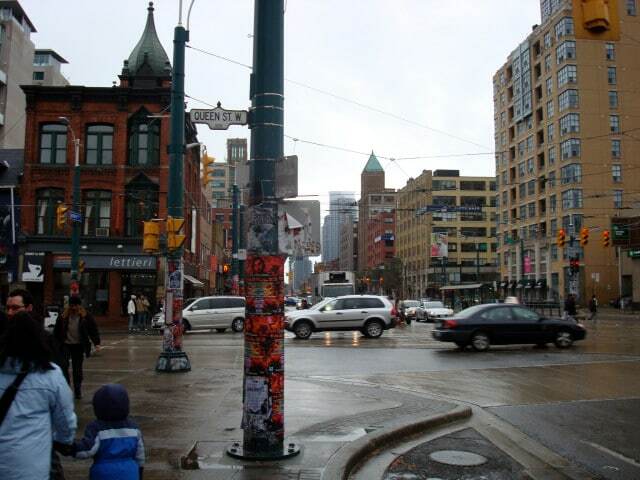 I remember being disappointed that Toronto wasn’t as edgy as Williamsburg in Brooklyn, as I had hoped. But in retrospect, that’s probably a good thing. Toronto is doin’ its own thing, and that’s fine. I can’t wait to go back there next summer for the TBEX travel bloggers conference and get a better taste of the city. I would love to visit Canada but my first stop will definitely be the Rockies. That’s a part of Canada worth seeing too, no doubt. My hometown! I`m happy you go to see Kensington, it`s one of my favourite parts of the city. But I hate to be the bearer of bad news, we have tons of hipsters in the city. They must have been hiding while you were here because of the grey weather. Thanks for the insight Priyank! 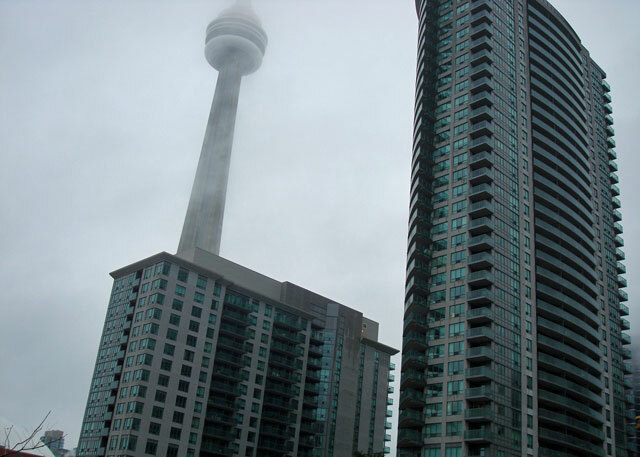 I will be back in Toronto next summer for sure… possibly sooner if I can make it work financially. I wish Israeli buses were that colorful! Everyone loves color on their buses, it seems. I think you’re right, we’d never get a window display that cool in the States! Love that painted bus too. That’s a lot of character on one street, right? Okay this is really helpful! I’m headed to Toronto in a few weeks and all I’ve heard how cool the city is. I’ll be interested to see what the hipster scene is like. 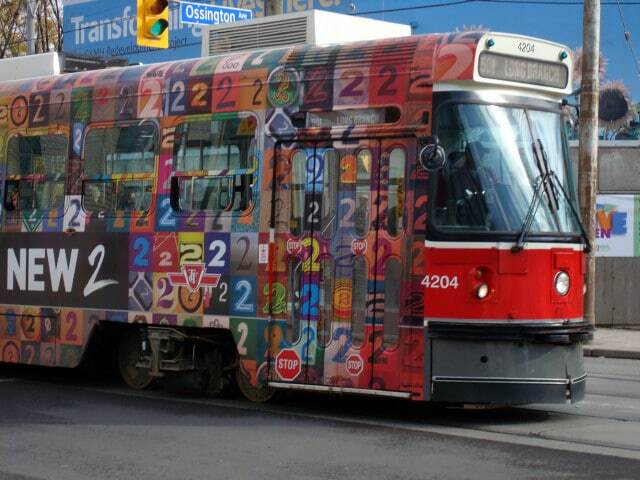 I love the ad on that train with all the #2s – looks cool. And I totally get you about wanting to be a good CS guest. I would’ve done the same thing. I think you’ll be right at home in Toronto. That city should make for some great posts!